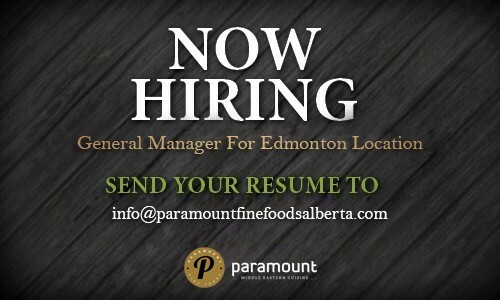 Paramount Fine Foods is now in Edmonton! Come down and enjoy the best Lebanese Food in Edmonton in our family friendly environment. Edmonton's best Beef Shawarma, Chicken Shawarma and Falafel. This is a Lebanese restaurant and Middle Eastern cuisine at its finest. 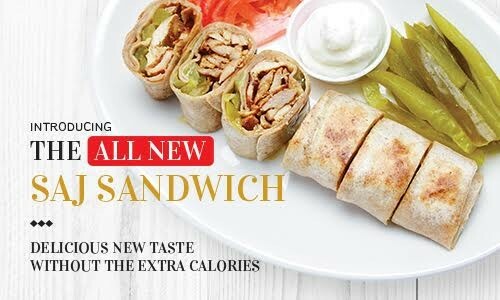 What’s new at Paramount Fine Foods? Find out what’s new at Paramount Fine Foods, Edmonton’s best Lebanese Restaurant. Paramount Fine Foods is quickly becoming a pillar of the community through its support of many charities and helping out Albertans in Need. Click here to see how we have been helping our community. Paramount Fine Foods is dedicated to giving back to the community. If we can leverage our great Lebanese food like Beef Shawarma, Chicken Shawarma and Falafels into a fundraiser for the Community then that is exactly what we will do. Learn more here. Enjoy our hand butchered meats that are prepared in our very own Paramount Butcher Shop. 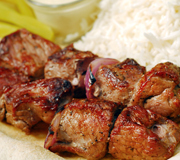 Learn more about why Halal prepared meats are so important to the history and culture of fine Middle Eastern and Lebanese restaurants. 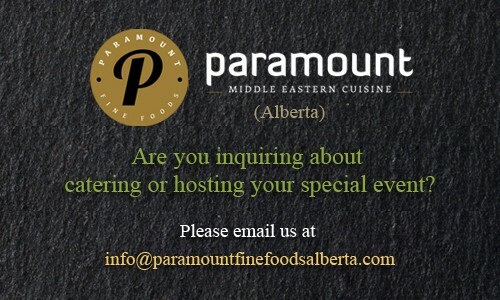 Come down to Paramount Fine Foods and learn why we are quickly becoming Edmonton's favorite Lebanese Restaurant. 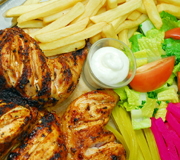 Featuring mouth-watering beef and chicken shawarma platters, refreshing juice bar, pizza and many other Lebanese and Mediterranean flavours. All our meat is prepared and process using Halal to ensure the highest quality of care for both the animal and our customers. Come in and enjoy our pristine dining room, open concept kitchen and relaxed family friendly environment. Our traditional Lebanese food will keep you coming back with lots of vegetarian options like Falafel, Fattoush Salad, Tabbouleh and our amazing varieties of Manakeesh flat breads.